It was such a sad day when Betty unexpectedly went to be with the Lord on July 15th, while on base. We mourn and miss Betty. Bob is now home with his family in Canada. 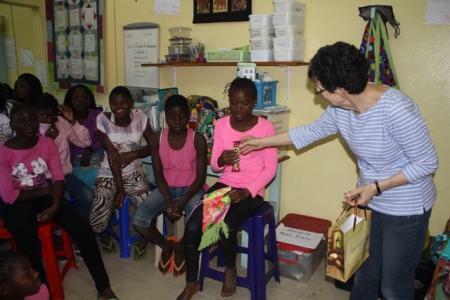 Betty’s last day was spent with the girls, sewing, laughing, partying, loving up on them. It is wonderful in these days to know Jesus, who is both the beginning and the end. The projects they began will continue to train youth, as Bob has trained Emilio and Betty has trained Lourdes to carry on the teaching. We are all very blessed to have shared so many years with with Bob and Betty. It was Bob’s pleasure to again work in the carpentry shop in June and July. They have a new carpenter, Louis, who is in the process of learning carpentry. Antonio is doing well and is starting to be able to do things on his own. Emilio is doing very well. When Emilio began working with Bob many years ago he was a very rough carpenter. He has turned into an accomplished carpenter! 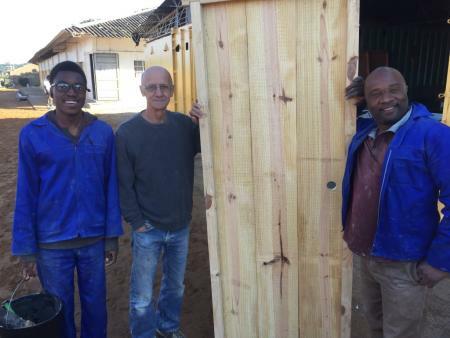 This last season saw Bob working with the young men to build furniture to help out another base. 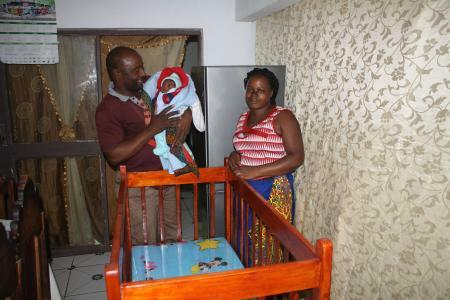 As well, Emilio and his wife recently had a baby boy, so they made them a crib. The sewing room is doing well under Lourdes' leadership. 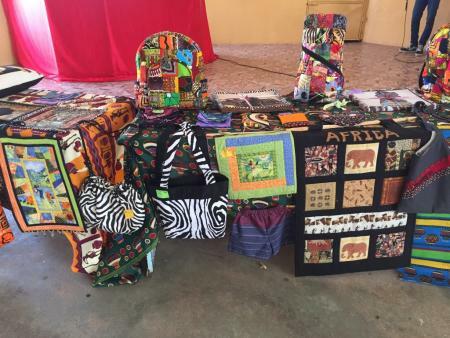 While Betty was there she did a couple of ‘giveaways’ of purses from a lady from back home. One of these was on her last day with us. 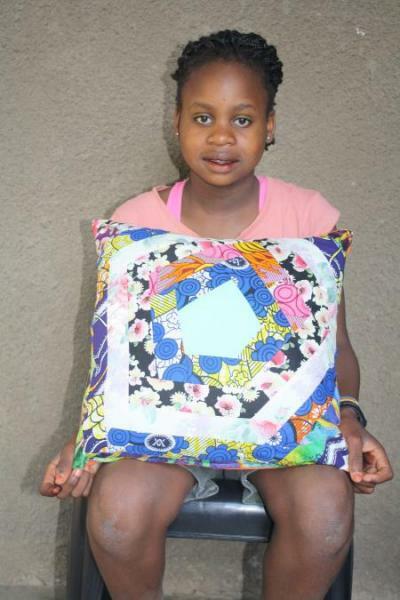 One of the young girls is pictured below, proudly showing the beuatiful pillow cover that she made. Betty was doing what she loved. She will be greatly missed by all. In her memory, the sewing room that she established has been named the ‘Betty Blanchette Sewing Room’.